You are here: Home » Commentary & Insights » Is it Time to Invest in Marijuana Companies? This is a GUEST POST by Dale Vernor, one of the many subscribers to the JJJ Investing Services monthly newsletter. With High Times recently going public and the steady increase of marijuana legalization efforts, many are wondering if it is time to invest in the marijuana business. There are many small companies forming and big giants trying to stake their claim in the industry. For some, they never thought the day would come where this would even be a legitimate question. But the day is here and the time to start thinking about this investment is now. In 1996, Proposition 215 was passed by voters in California. Since then, the statute has been considered as the landmark legislation on the legalization of medical marijuana all across the state. Though this is the first law in California that legalizes the use of marijuana on the state level, it actually reversed US case precedents. This year (in 2018), 30 states already legalized the use of medical marijuana while 9 states legalized its recreational use. Also, Canada has recently become the first G-7 nation to legalize cannabis use. The number of states who join the cannabis legalization movement grows each year. Every time a country sets up their own laws for this a certain kind of pressure is experienced by its neighboring states. The reason behind the pressure is centered on the fact marijuana legalization also means tax dollars going through the state lines. If you look on the map, you would realize that the whole US West Coast has already moved to legalize marijuana, both medically and recreationally. The Northern regions have already approved its medical use. More of the states in other regions are starting to push for legalization of medical use. In 2016, Oklahoma and Arkansas joined the movement. It won’t take long until the rest of the states in the South join as well. In an article published in Forbes magazine, prohibition against marijuana is described as a dying cause, with more and more countries and states supporting its legalization. One of the many benefits of legalizing marijuana for medical and recreational use is earning a hefty amount of profits for investors who invested in marijuana stocks. In 2015, the free market responded positively to marijuana stocks raising a total of almost $6 billion profit. The market even went wild in 2017 when it grew 60% and earned almost $9 billion in profit. This year (2018), they are expecting a 30% increase in market growth and a hefty $11 billion profit from the US alone. Most experts and seasoned investors forecast that the market for legal marijuana will continuously and significantly flourish in the next 10 years or so. With that said, no wonder that now is said to be the best time to invest in good marijuana stocks. Legalization of marijuana is one of the most hotly debated issues. On the affirmative side of the house, proponents would argue that legalization of marijuana can greatly reduce the cases of opioid addiction and consequently, lessen the need for addiction and marijuana rehab. It has been shown in states where medical marijuana is legal that the use of opioids reduced greatly. On the negative side, proponents are against legalization because they believe that legalizing marijuana will only create another kind of addiction, similar to tobacco and other destructive substances. They also believe that instead of lessening addiction, it will essentially double or triple its number and would eventually require admittance to addiction and rehab centers for marijuana. If you look at the data and evidence though, especially in the case of Canada, you would most likely believe the argument on the affirmative side of the house. Canada has an all-inclusive nationwide program of permitted medical cannabis. A recent study conducted by researchers from the University of British Columbia showed the effects of cannabis as a prescribed drug. In that study, almost 63 percent of the drug patients prescribed with opioids were given cannabis as their prescription drug, while remaining percentage of the respondent population was left with opioids. For those under cannabis, they were recorded to have experienced lesser side effects and have better management of symptoms. It is important to consider the impact that the future could hold on investing in marijuana companies. A single law put in place could really send a company in a downward spiral. The marijuana business is still risky to invest in. Any new research study could come out that could slow down business. There are two companies that I like personally going forward. Aurora and Canopy Growth are both major players in the marijuana business and are making a lot of moves to assure they remain as the top dogs in the industry. I advise to do your own research before choosing any of the marijuana companies out there, but if you are looking for a company who is taking this serious I recommend you investigate these two options. To learn more about marijuana stocks and current investing options, use the links in this article. For good business and investing insights on any stocks that you do like, check out JJJ Investing Systems. 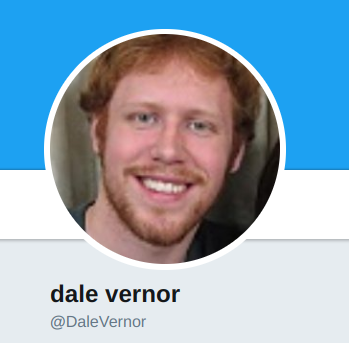 Dale Vernor is a writer and researcher in the fields of addiction, mental health and culture. After battling with addiction, Dale was able to earn his Bachelor’s Degree and develop a career as a writer. When not working Dale enjoys movies, sports and following stocks. Find more of Dale’s work on his Twitter account. Disclaimer: Guest posts are provided for educational purposes and do not necessarily reflect the views or recommendations of JJJ Investing Services. Jeffrey Weber is not an investment adviser and gives only his personal view and opinion, never making any investment advice or recommendation to buy or sell specific securities. Investors in financial assets must do so at their own responsibility and with due caution as they involve a significant degree of risk. Before investing in financial assets, investors should do their own research and consult a professional investment adviser. The online partners with JJJ Investing.